Seventies teen idol Leif Garrett was arrested by the Los Angeles County Sheriff in January 2006 and charged with possession of heroin. 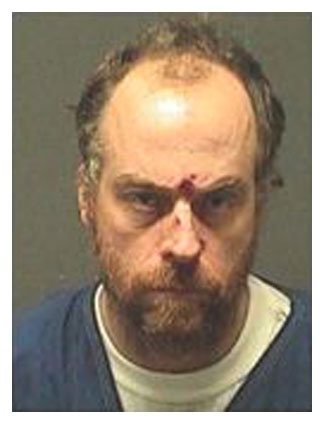 Garrett, 44, was held without bail after deputies discovered an outstanding warrant out for him for allegedly violating his probation after copping a guilty plea in March 2005 to cocaine possession. Submitted by day tripper on Sat, 2011-01-29 00:21. I don't know what to say, you grow up wanting to be like them And then,,,you do. Submitted by roydawgg on Wed, 2010-11-10 18:11. Submitted by Sargebri on Sun, 2010-10-31 04:34. Of course, he eventually wound up on the Smoking Gun Presents. Submitted by silly pants on Tue, 2010-10-19 17:46. Submitted by soclever on Wed, 2010-09-29 19:32. Submitted by jonnywad1234 on Wed, 2010-08-25 01:37.